Lincoln Wheat cent graded AU-55. A circulated coin graded AU-55 will show only small patches of wear that are visible on the highest points of the design. As is the case with the other grades, wear often occurs in different locations on the coin based upon the coin's design. Eye appeal and surface condition are above average. All About Uncirculated coins can be very difficult to grade. A significant part in determining the grade of an AU-55 coin is the amount of mint luster that is left on the surface of the coin. If the lighting is poor when you are examining the coin, it may appear as a mint state uncirculated coin. Conversely, a fluorescent light tends to overemphasize the amount of wear that is on the coin. This type of lighting can lead you to grade the coin as one of the mid to lower circulated grades (EF-45 to VF-30). Although this coin grade indicates that the coin has circulated, the wear on the coin should not be significant. Look closely at the high points of the design. There should be little to no loss of detail on the high points. However, you should notice that the mint luster is missing on the high points of the coin. Additionally, the mint luster may be missing or muted in the open fields on the coin. An AU-55 coin will have a moderate amount of bag marks resulting from the handling process and being used in commerce. If the coin is relatively free of contacts marks but still has missing mint luster on the highest points of the coin, it should be graded AU-58. If the coin has many contact marks across the entire surface, it should be graded AU-53 or AU-50. On larger coins, for example, half dollars and silver dollars, the minting process requires more striking pressure than smaller coins. If the mint increases the striking pressure to strike the coins and bring out all of the finer details, the coin dies will wear out prematurely. 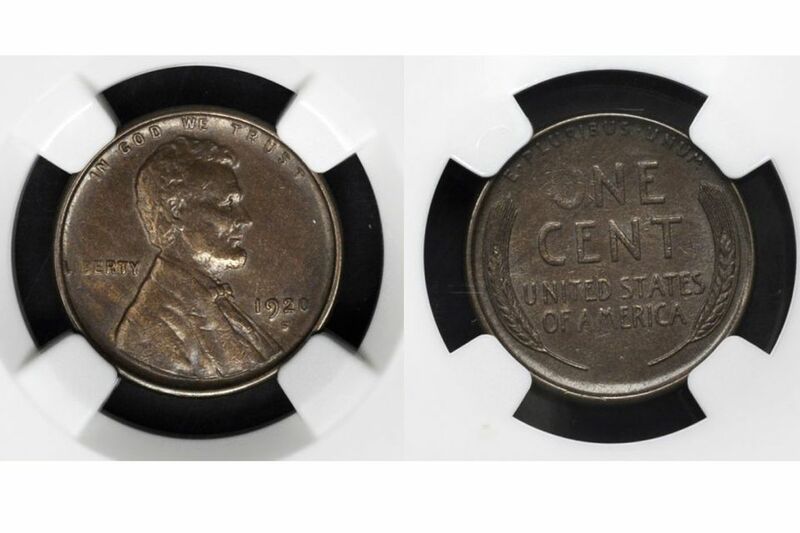 If they reduce the pressure to extend the life of the coin dies, the detail in the deepest recesses of the die (highest points on the coin) will be missing. Some people mistake this lack of detail as the result of circulation and assume the coin is circulated instead of uncirculated. In order to properly inspect a coin to determine if it is about uncirculated, use a 60 W to 75 W incandescent light bulb approximately 18 inches from the surface of the coin. Rock the coin back-and-forth and from side-to-side to see if you can detect any disturbance or missing mint luster. Pay special attention to the highest points of the coin's design. These areas will make contact with other coins and wear on the surfaces first resulting in the removal of the original mint luster. Remember an uncirculated coin can still have contact marks and bag marks from the minting process. These marks should not be taken into consideration while determining if a coin is circulated or uncirculated. The exact descriptions of circulated grades vary widely from one coin issue to another, so the preceding commentary is only of a very general nature. It is essential to refer to the specific descriptions for a particular coin type when grading coins. The correct adjectival term for the "A" in AU is About, not Almost. While numbers from 1 through 59 are continuous, it has been found practical to designate specific intermediate numbers to define grades, resulting in steps. Hence, numismatists use descriptions and their numerical equivalents, as approved by the ANA Board of Governors. While the preceding guidelines will undoubtedly prove useful to the reader, it is strongly advised that viewing actual coins in the marketplace will enable you to better determine grading practices affecting the series of coins which interest you most. For example, the coin collector of Morgan silver dollars would do well to examine Morgans graded by a variety of third-party grading services and sellers to determine in general what is considered to be AU-55 grades.